A site to manage the delivery of a £70million Rural Development Programme allocation. There was no web presence whatsoever for the programme. The client needed to communicate information about the workshops, updates and news. After winning the public tender, we took over full management of their digital presence. 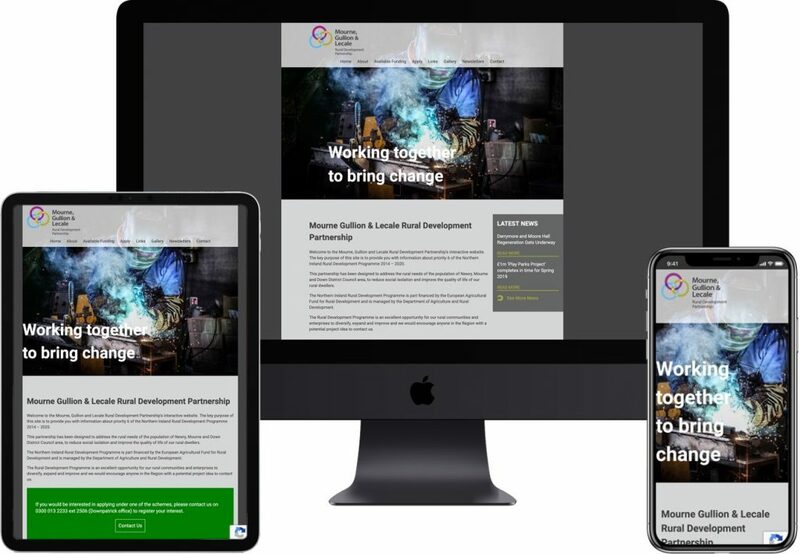 We worked with a Belfast based design company who created the concept and we developed the full site to allow easy communication to residents in the Mourne, Gullion & Lecale area. We also host and provide monthly support to the client.